By now you know that well-written copy is essential for your business. But how do you know how much to spend on content and where to find great writers? 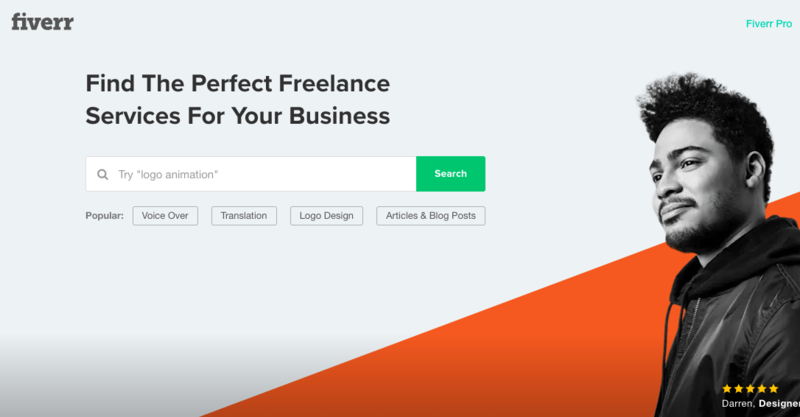 Platforms such as Fiverr and Upwork seem like they could be the answer to your prayers. After all, even major corporations such as Paypal and Netflix use their services. However, big companies have large marketing budgets and can take the hit if things go wrong. Small businesses need to make every dollar count. 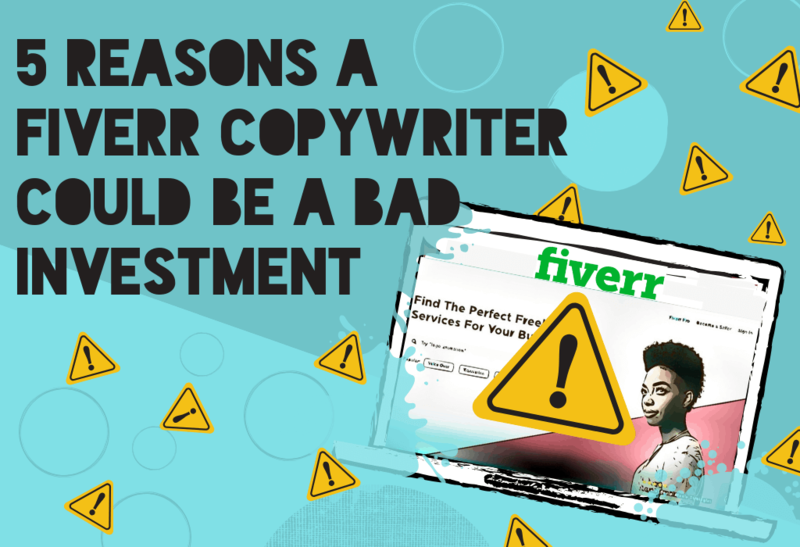 Should You Hire a Fiverr Copywriter? Fiverr is no doubt an affordable option for copywriting. After all, the name of the site comes from the original $5 rate of all freelancers’ services. Since 2010, freelancers have been free to set their own prices. Yet there are many Level 1 and Level 2 sellers advertising $5, $10, and $15 for an article or blog post. Why not take providers up on their offers, especially at such affordable prices? There are a few reasons why hiring a Fiverr copywriter might not be the best idea. There’s no doubt that there are many experienced, trustworthy providers who sell on Fiverr. But on such a massive site, it’s difficult to determine the good ones from the bad ones, even with Fiverr’s safeguards in place. A platform is only as good as the people who are on it. Every system has its loopholes and Fiverr’s is no exception. As soon as a system is created, there are bad actors who will seek to exploit it. Since anyone can sign up to be a seller on Fiverr, a buyer’s chances of having a bad experience are higher. We have heard of sellers who mark their gig as “closed” even though it wasn’t. After a certain amount of time allowed to solve the dispute, sellers have been paid anyway. By choosing a reputable SEO content agency like Keys&Copy, you will never have to deal with scams! The adage “You get what you pay for” still holds true. You want to position your business as a respected thought leader – and you want your content to add something new to the discussion. For $5 or $10, you will likely get “scraped” or “rewritten” content. This means content taken from other sites while changing a few words here and there. Fiverr creates a competitive atmosphere where writers have a strong incentive to set their prices as low as possible. Low prices lead to greed on the part of buyers. Buyers might not want to pay much but they do still want quality. A $5 post is easy on the wallet but likely resembles other things at that cost– such as a McDonald’s meal. It makes you feel good in the moment, but you later realize it was high on filler and low on… anything else. Buyer satisfaction on Fiverr may come in second to other priorities. (Shh… it has to do with dollar signs). After all, there is no shortage of people in the world willing to go to great lengths to earn $5. Look at the recent YouTube star’s PewDiePie scandal on Fiverr. He thought no one would take him up on his offer and he placed gigs for $5 to hold up anti-Semitic signs. Not to ruin the punch line, but some providers actually did it and PewDiePie got in trouble, and the providers got their accounts banned. This is an example to show that it’s difficult to separate the serious from the ridiculous. No matter what kind of gig it is, Fiverr still makes a 20% commission off it if it’s completed. The lack of regulation encourages gaming of the system. Unscrupulous providers may advertise for services they have no intention of ever completing. 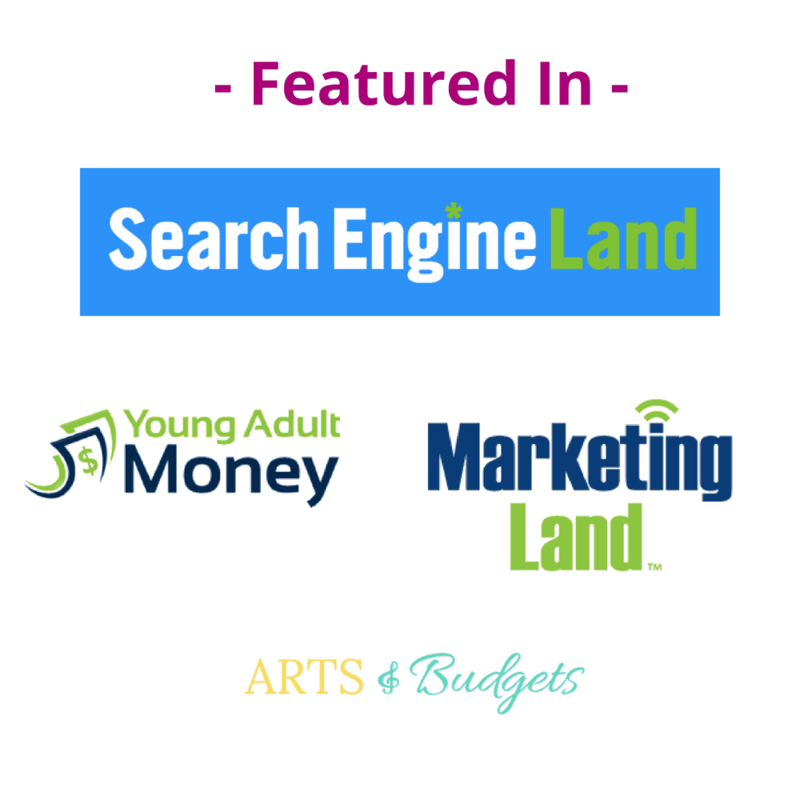 SEO content agencies vet their contractors and clients. They aren’t in the business of making money off frivolous requests. A quick search around the internet brings up pages upon pages of Fiverr complaints. When a buyer has a problem with a seller on Fiverr, they must open a dispute. Resolving disputes takes months. Fiverr doesn’t give instant refunds. Buyers need to take time out of their day to chase after sellers who did not deliver as promised. Fiverr is quick to punish both sellers and buyers for minor infractions. This can result in closing users’ accounts and withholding refunds. You will never receive an email that your account has been “closed” or “deactivated”. You will know exactly who you are dealing with and NO unpleasant surprises. Let’s say you do go with a premium, experienced copywriter on Fiverr. The problem becomes your level of protection. If you spend $5 and the result isn’t what you hoped for, well, you’re not out by very much. But if it was a writer that cost you $300 and never delivered, that loss might be harder to take. Smaller is better. When you are dealing with a nameless provider on a global platform you are a screen name. But you aren’t. You have a unique set of needs and preferences. What you need it a content provider who will work hard to understand exactly what it is you want. You need experts who can bring up questions and ideas you might not have thought of. The best creative work is done through collaboration, a melding of the minds. Fiverr doesn’t allow buyers to communicate with sellers off-platform. Rather than a two-way process, the relationship between buyer and seller is simply transactional. A good content agency will see you as important, not as another gig to be completed. The barrier to entry for writing on Fiverr is low. All a writer needs to call herself a copywriter is a laptop and an internet connection. Unfortunately, it isn’t that simple. You don’t want just anyone. You want a copywriter with real insight into your business. Say you found a writer on Fiverr whose profile had good reviews and they promised a fast turnaround time. The price point was right at $15 for a blog post. You sent the details and specifications and the writer said they understood. The writer submitted the finished piece the next day and everything you asked for was there. It followed the outline and the spelling and grammar were correct. You then do a quick search of your content online and find that the writer pulled chunks of content from other articles. You then run the content through a plagiarism checker like Copyscape and find that it is only 50% original. On Fiverr, writers have the incentive to churn out as much content as possible at the lowest rate possible. And because creating quality content in such a short amount of time is actually realistic, they end up pulling a lot of content from other sources. In working with a professional copywriter, you can be more confident that you are getting content that is 100% original and tailored to your audience. You can read more about the issues with “bad” copywriting in this post. Don’t fall into the copywriting “fast food” trap. Get a personal touch, fast response, and no unnecessary bureaucracy. To learn more about what we at Keys&Copy SEO Copywriting can do for your business, send us a message.